Tough terrain is just a call to action for the GEOLANDAR A/T-S - YOKOHAMA's ultra competitve all terrain workhorse for SUV's. Yet, when civilization beckons, it's sophisticated enough to be invited to the party. 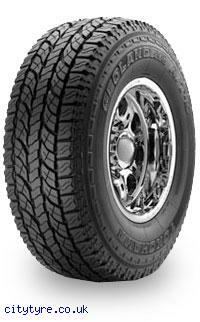 The GEOLANDAR A/T-S - one tyre at home in two worlds.